New HD King Mickey Medal – Now through November 26, 2018, players can add a brand new Mickey themed Medal to their collection through a limited-time banner. Mickey Mouse Quiz – From November 18 through November 30, 2018, players can earn 1,000 Jewels by testing their knowledge of Mickey Mouse in a new in-game event. Hidden Mickey Event – From November 18 through November 24, 2018, players can hunt for the hidden Mickeys concealed in various stages to earn rewards. Mickey and Minnie Mouse Avatar Boards – Keyblade wielders can customize their avatars and dress up as the iconic duo with the limited-time return of popular Mickey and Minnie-themed avatar boards. The outfit pieces and accessories are available for a discount and can be purchased with in-game currency from November 18 through December 2, 2018. Additionally, new Fantasia Mickey avatar parts are also available in-game now through November 24, 2018. 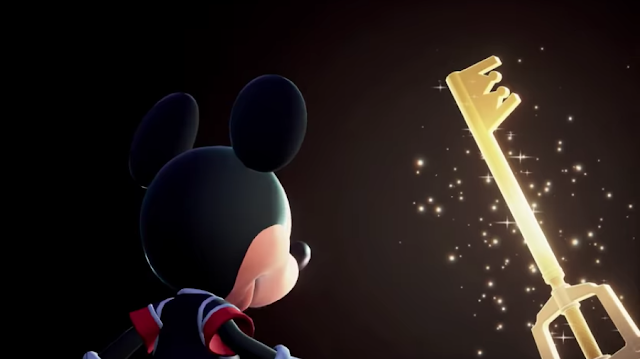 To commemorate Mickey’s special milestone, SQUARE ENIX released a trailer earlier this year that compiled King Mickey’s key appearances throughout the KINGDOM HEARTS franchise. The trailer can be viewed here: https://youtu.be/7crGIpcslBo. Fans eager to continue the celebration can visit ‘Mickey: The True Original Exhibition’ in New York City, a 16,000 square-foot interactive pop-up art exhibition for Mickey’s 90th birthday. The exhibition is currently open until February 10, 2019, and features an exclusive Mickey Mouse art piece by KINGDOM HEARTS Franchise Director, Tetsuya Nomura. Additional details can be found here: https://sqex.link/celeb6755f.